Native to Northern Africa, Asia and Europe. Introduced and naturalized in the United States. Moist. Fields, pastures, roadsides, and other disturbed sites. 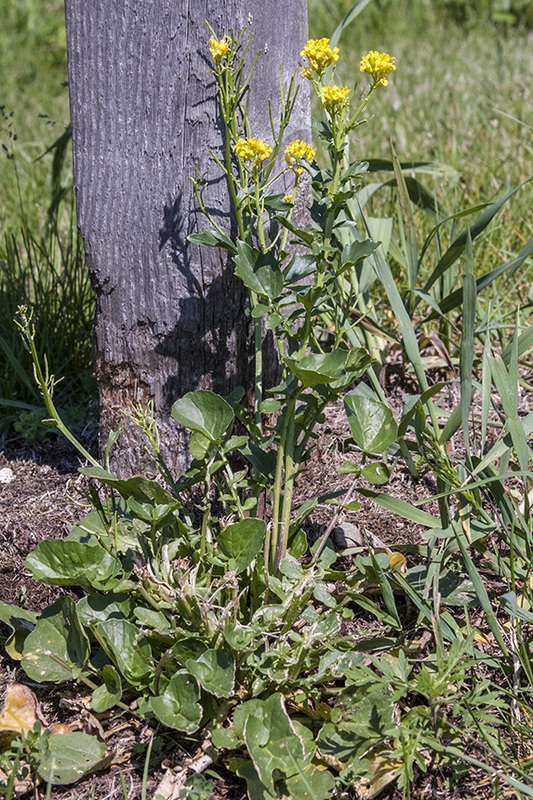 This is a 8″ to 32″ tall, erect, biennial or short-lived perennial forb that rises from a stout taproot. 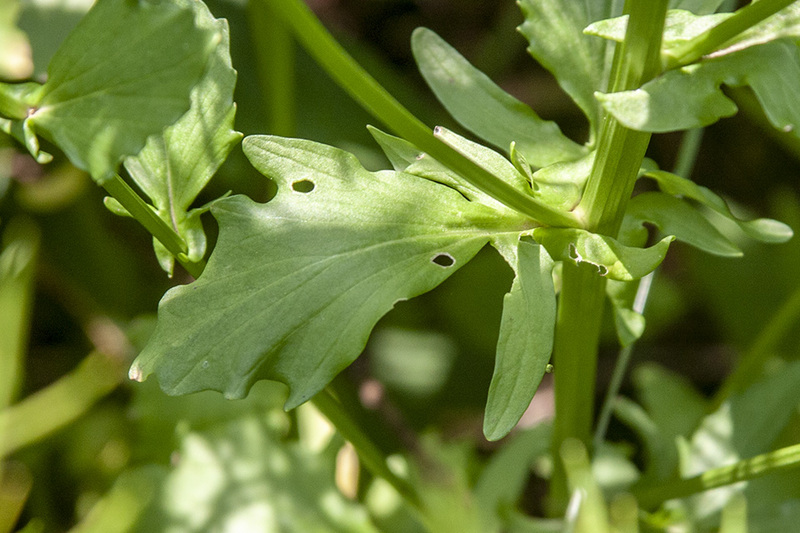 In it’s first year it forms a rosette of basal leaves up to 1′ across. 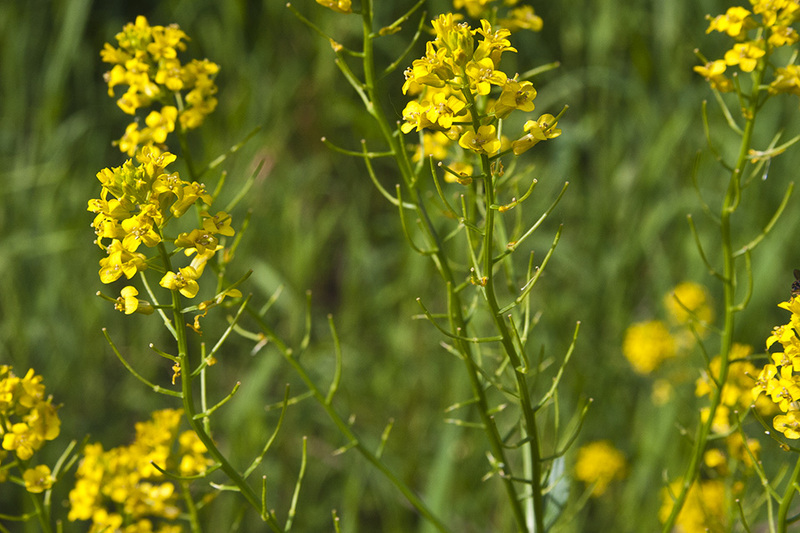 In the second year it produces one or more flowering stalks. This is one of the first flowers to bloom in spring. It blooms a second time in late autumn. 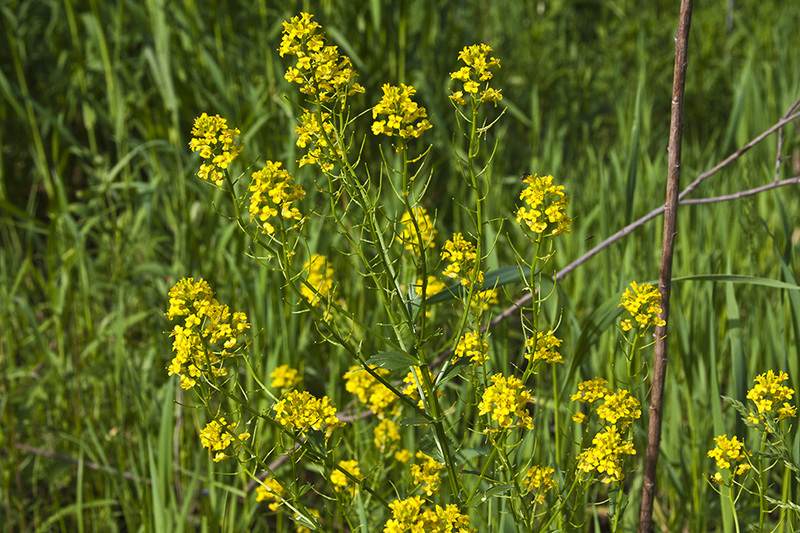 The stems are erect, angled, and usually unbranched below the inflorescence. They are usually hairless but are sometimes sparsely covered near the base with unbranched, nonglandular hairs. 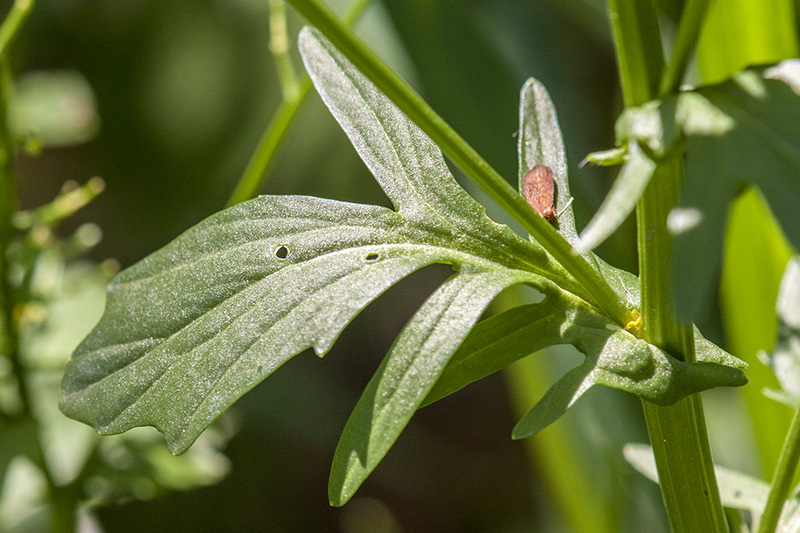 The leaves are alternate, dark green, hairless, and shiny on the upper surface. 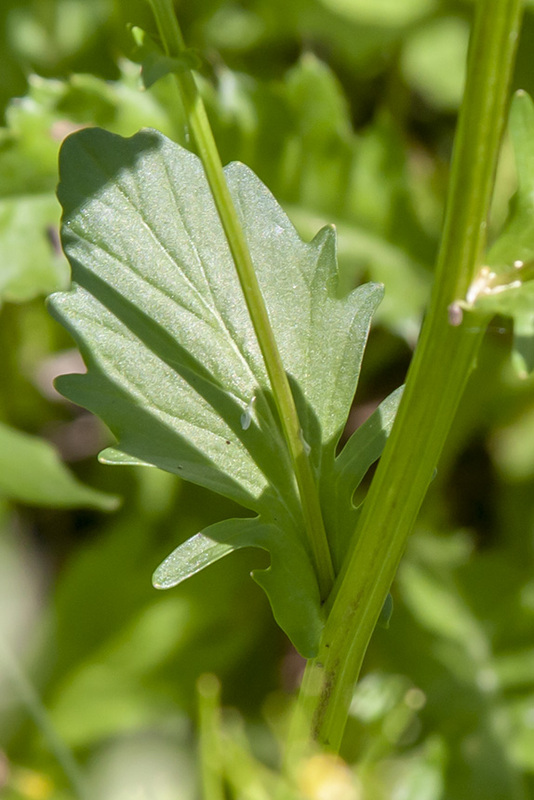 Basal leaves are up to 6″ long and 2″ wide and are attached to the stem with a ¾″ to 3″ long leaf stalk. They are divided into 1 to 4 pairs of small lateral lobes and a large terminal lobe. The lateral lobes are oblong, two to four times longer than broad with nearly straight sides or egg-shaped and attached at the narrow end. The terminal lobe is considerably larger, egg-shaped or nearly circular. The margins are wavy or bluntly toothed. 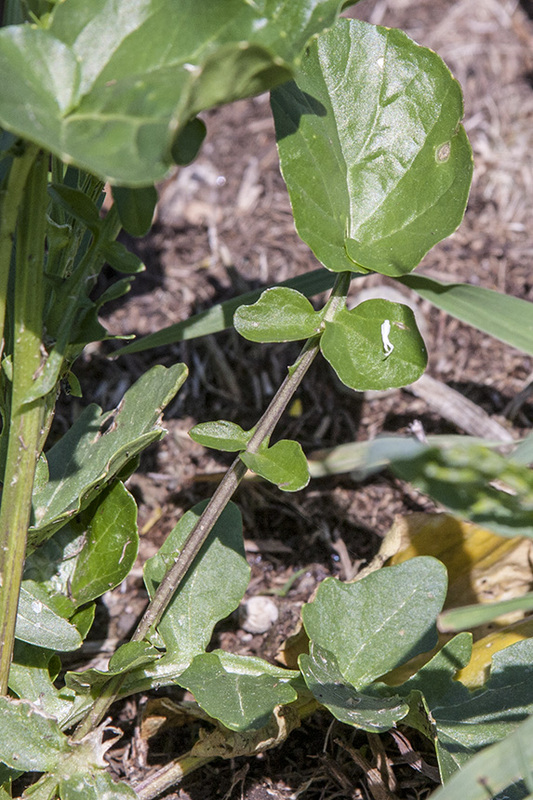 Lower stem leaves resemble the basal leaves but are progressively smaller as they ascend the stem. 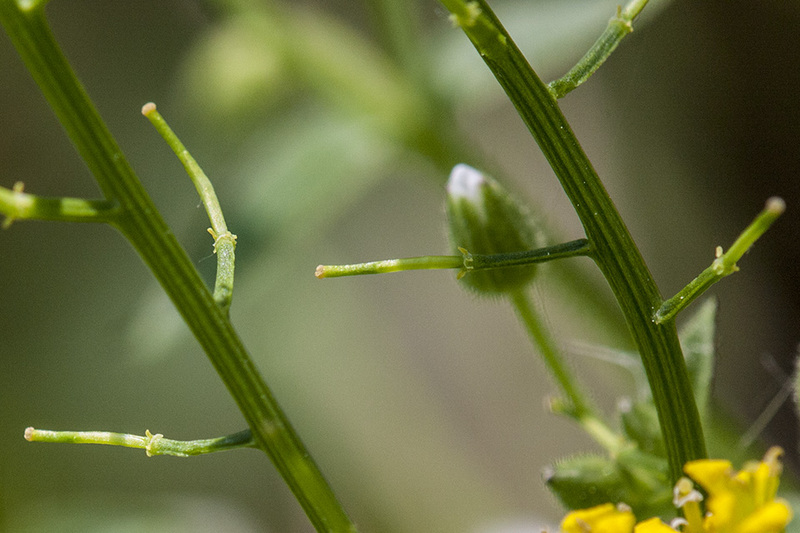 A pair of ear-like basal lobes clasp the main stem. 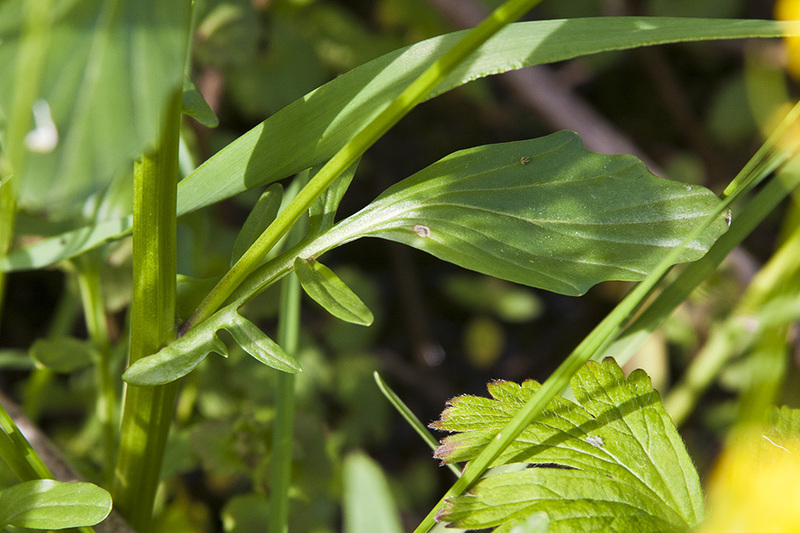 Upper stem leaves are egg-shaped or nearly circular and may be lobed, toothed, or entire. The margins are strongly wavy or bluntly toothed. 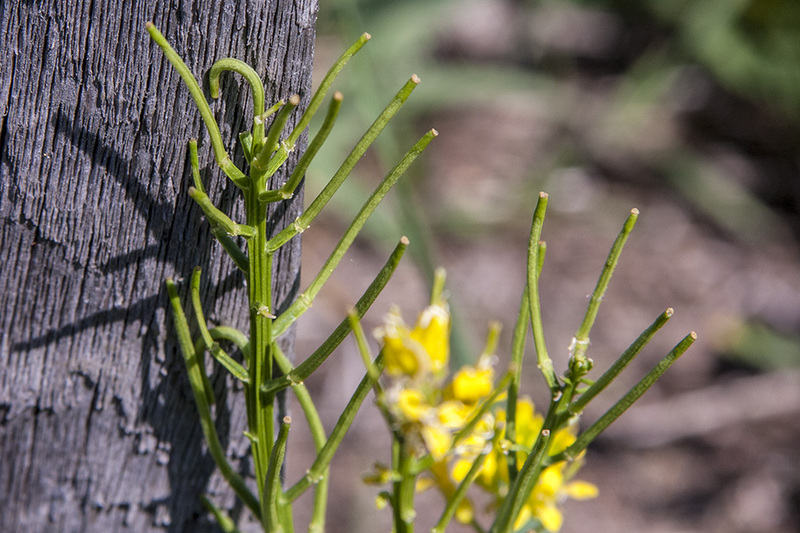 They attach to the main stem without a stalk and sometimes clasp the stem at the base. They are not covered with a whitish, waxy coating (glaucous). 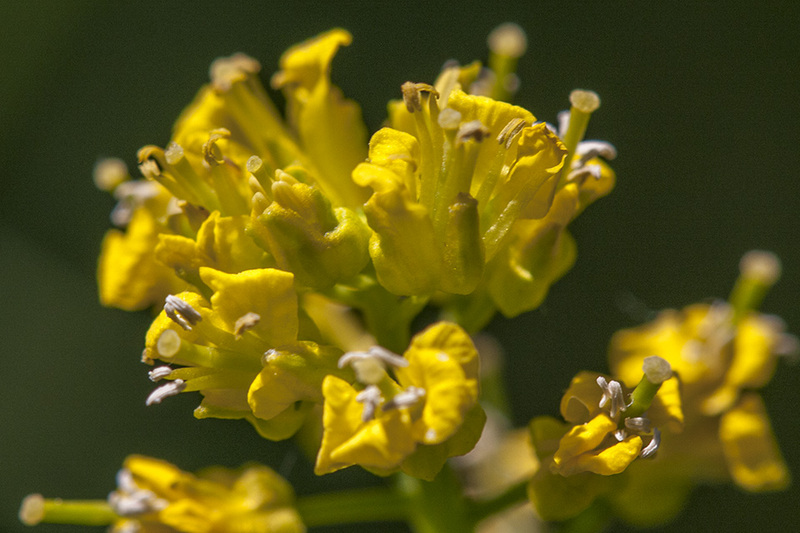 The inflorescence is a terminal, branched, elongated, crowded cluster. 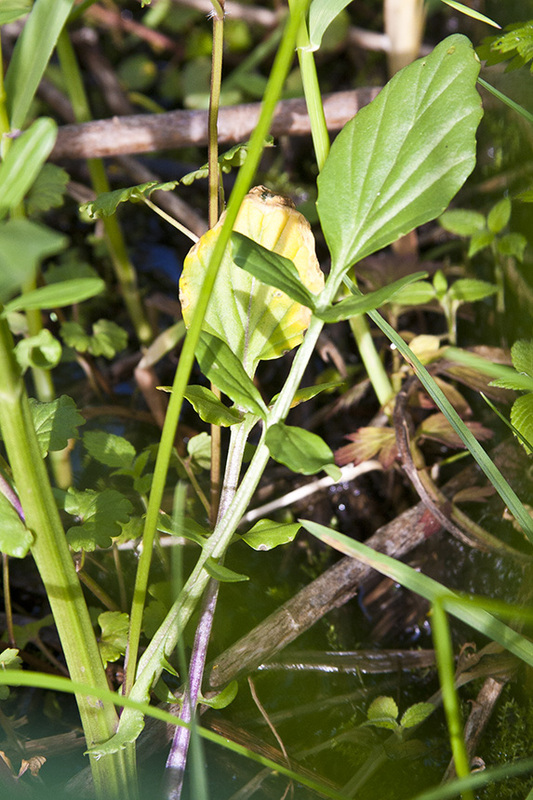 The flowers have four yellow petals, are ½″ wide, and are stalked. The fruit is an ascending or spreading, ½″ to 1½″ long, narrow, curved pod that is roundish in cross-section. The fruits develop below the inflorescence. 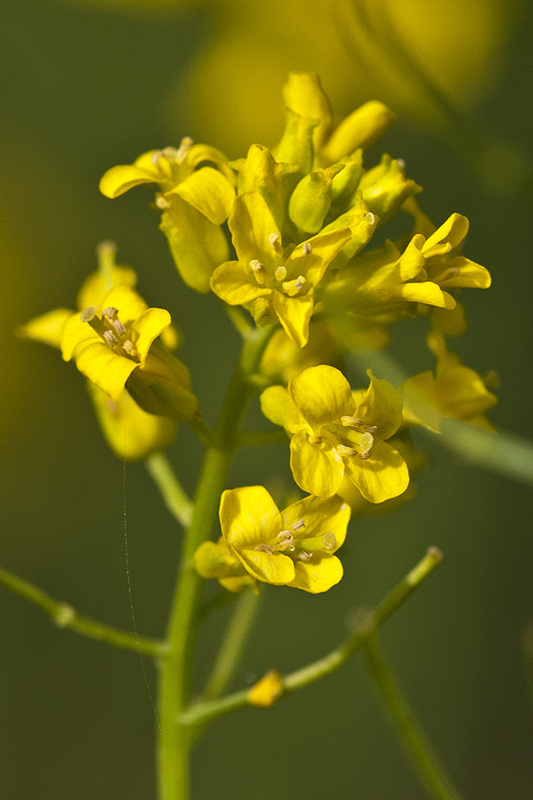 Early winter cress (Barbarea verna) has basal leaves with 4 to 7 pairs of lateral lobes. It is an eastern and west coast species and does not occur in Minnesota. 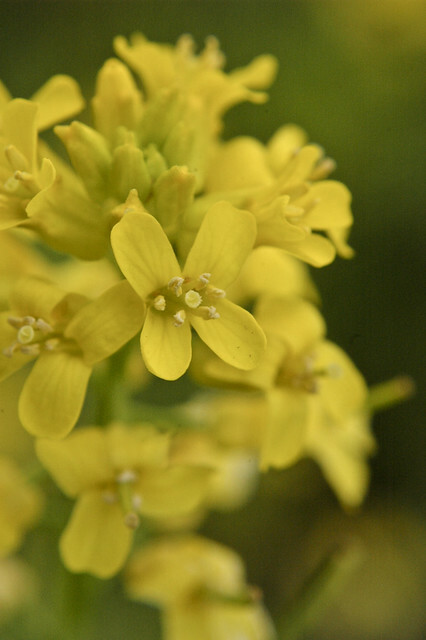 Northern winter cress (Barbarea orthoceras) is a native species. 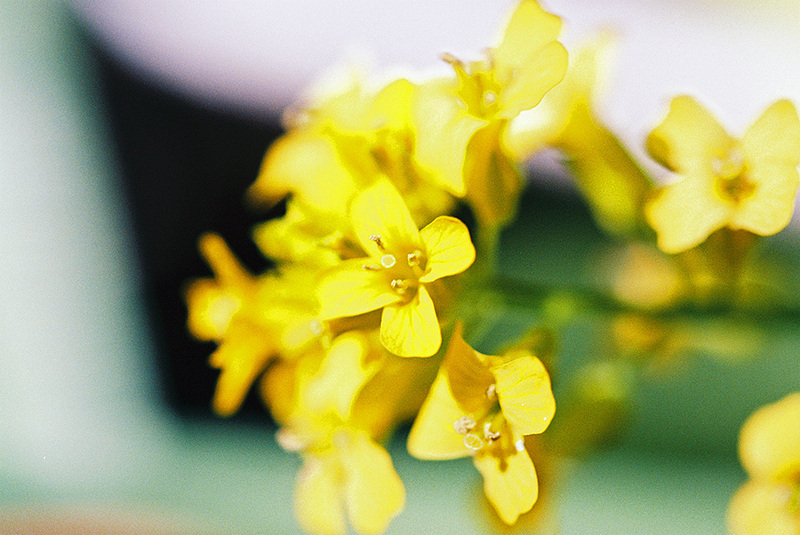 The flowers are ¼″ wide. 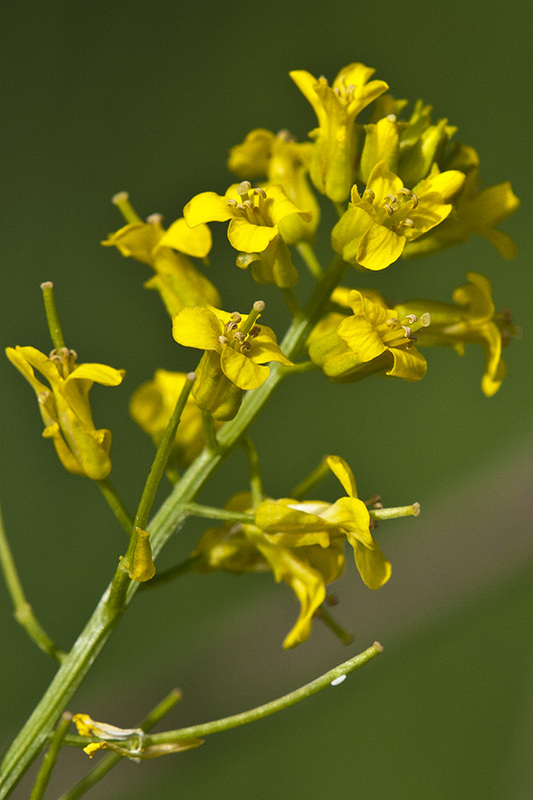 The flower stalk is club-like or bat-like in overall shape. 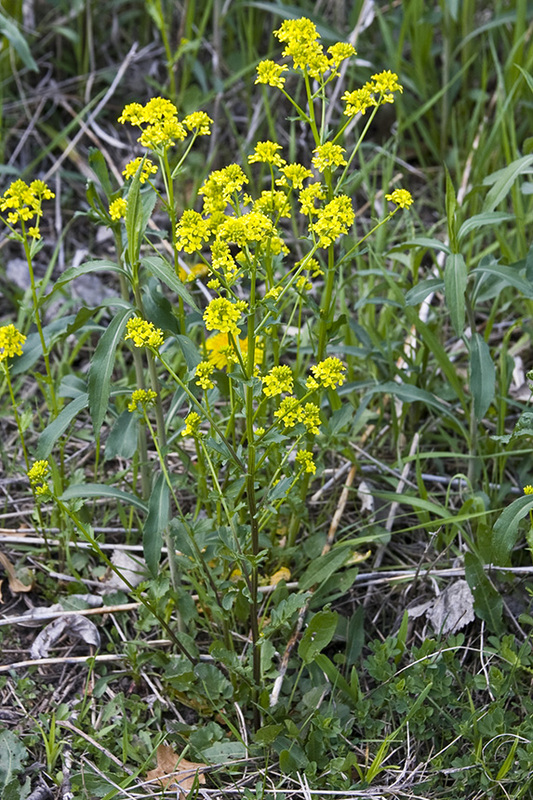 Barbarea vulgaris, also called as Bittercress, Herb Barbara, Rocketcress, Yellow Rocketcress, Winter Rocket, and Wound Rocket, is a biennial herb of the genus Barbarea, belonging to the family Brassicaceae. 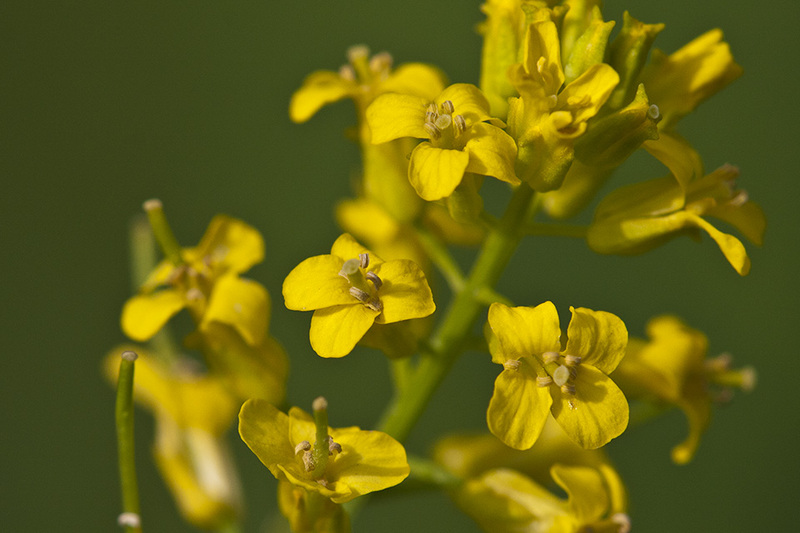 Winter Cress is found in wet wooded areas, as well as moist fields and meadows. 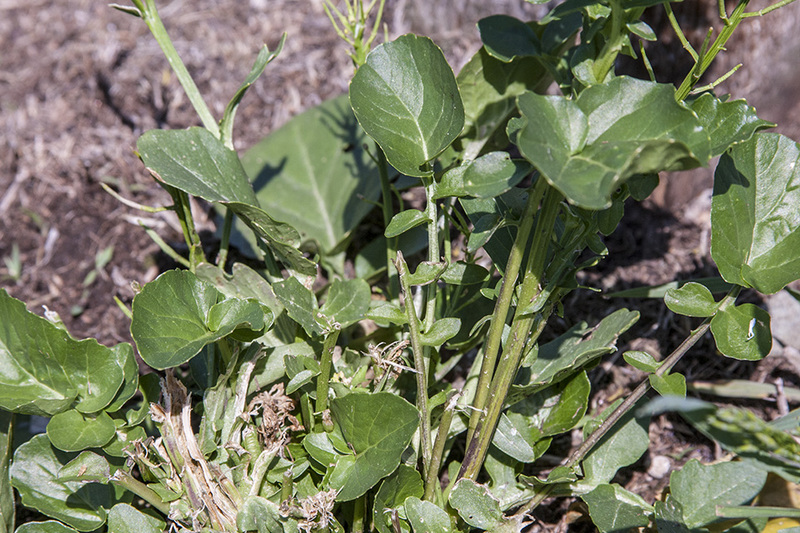 As with all wild edibles, you should be careful to harvest from a clean source. 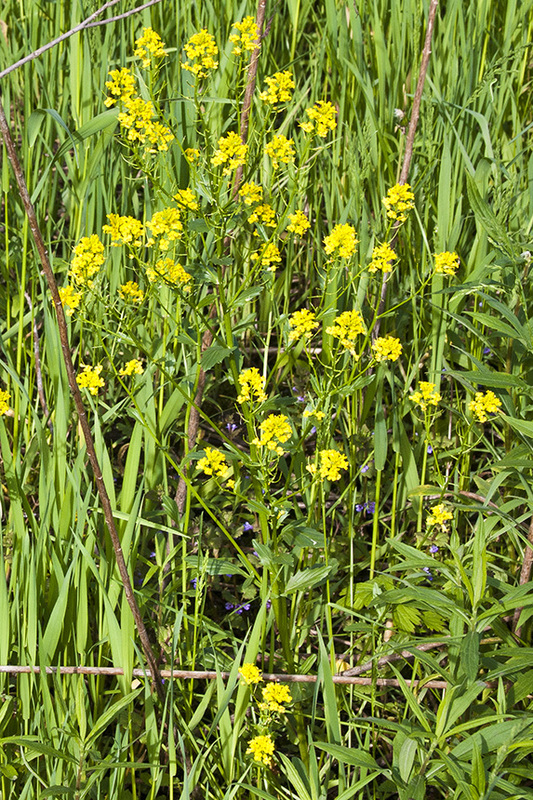 Especially with this plant, because it has a high absorbency to any ground source, so look out for impure water nearby or farmer's fields because of run-off. Also used as a diuretic and appetite stimulant. 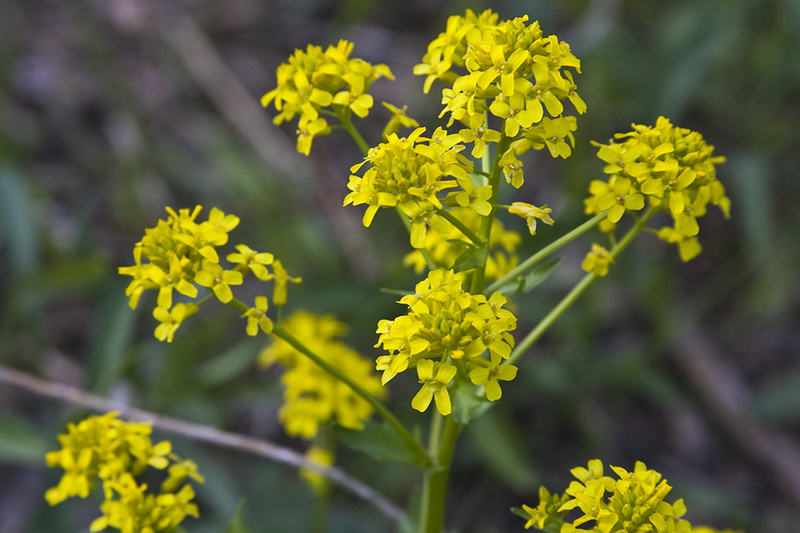 Some experts claim that it is toxic when ingested, but there are many people that eat this plant and you can find numerous recipes for cooking with it. Also keep in mind to follow the rules of wild foraging, if you can't identify it or do not know how to prepare it, do not eat it. With all the grocery stores looted, and the dollar stores emptied, not even a Wawa to be had, food becomes a necessity that has to be filled in unorthodox ways. 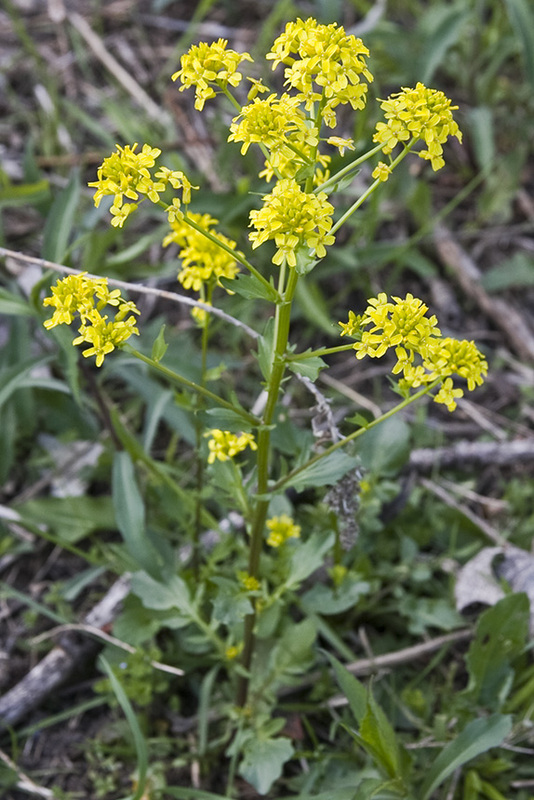 Wintercress is a member of the Barbarea genus. 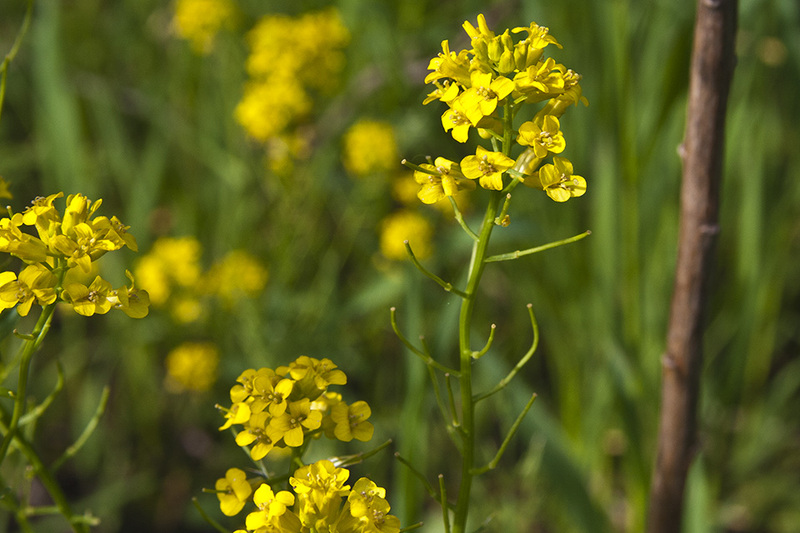 Being part of the Brassicaceae family it is related to the broccoli, cabbage, and kale cultivars. Both the flowers and the leaves are edible. 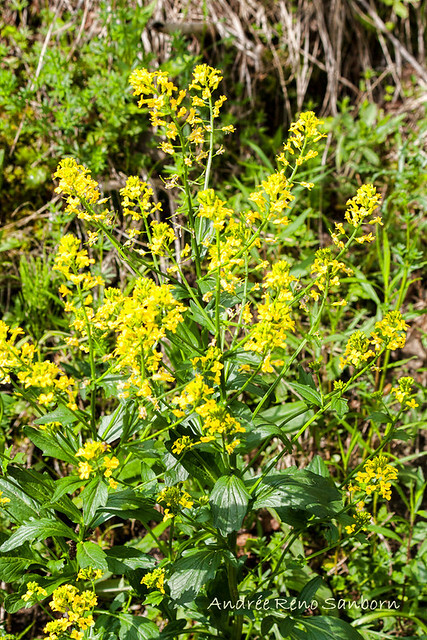 It grows in the Northeast beginning in mid-April into early summer. There are 22 species in the genus, so the confusion I had in the field may be explained by that. However, I later found that all the plants I harvested during the filming had all the same leaf features somewhere on the plant.